(Washington, DC) Members of the Board of the Friends of the American Latino Museum, Chairman’s Advisory Council Members, former Commissioners, and national partners concluded two days of meetings with Congressional Officials and the Office of the Vice President of the United States seeking passage of the National Museum of the American Latino Act, S. 1364 / H.R. 2911, legislation that will authorize the establishment of a Smithsonian Museum dedicated to the impact of American Latino history, art, culture and life on society in the United States. Advocacy day participants came from all over the nation, representing private business, national non-profit and the arts to emphasize the importance of the legislation that would start the process of securing a location on the National Mall for the site. 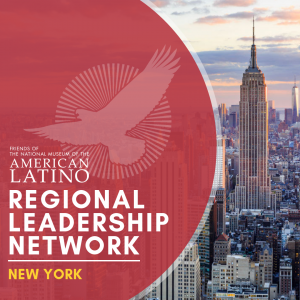 This week’s efforts also commemorate the seventh anniversary of the bipartisan Commission to Study the Potential Creation of the National Museum of the American Latino. Released in 2011, the report articulates the urgency for a museum located on the National Mall in Washington, D.C. as part of the Smithsonian Institution. 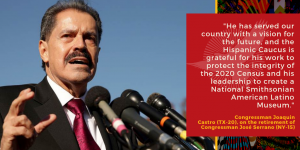 The current bill was introduced in June 2017 and has strong bipartisan support including Rep. Ileana Ros-Lehtinen (FL-27), Rep. Jose Serrano (NY-x), Senator Bob Menendez (D-NJ), Senator John Cornyn (R-TX) and many more. 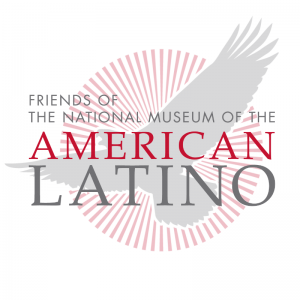 An inextricable part of our nation’s heritage, a Smithsonian National American Latino Museum ensures a more complete account of our American history. Attendees of the advocacy campaign are committed to passage in 2018.